Track and field will head to the Wheaton College Twilight Meet this Saturday in their second to last meet before the conference championships. The Maroons will face off against North Central College, Illinois Wesleyan, Carthage College, UW–Parkside and Wheaton College as the countdown to the UAA championship continues. The results of the outdoor season have been mixed so far for the Maroons. After a solid second-place finish for both the men’s and women’s teams in their opening meet of the season, the men’s side slipped to ninth at last weekend’s Chicagoland Championship as the women secured a sixth-place finish. On the men’s side, the distance runners have been the stars of the season so far, while the sprinters and jumpers have struggled with the transition outdoors, with second-year sprinters Theo Benjamin and Jackson Jenkins both having to exit mid-meet due to injury concerns last Saturday. The women, on the other hand, have slightly more cause for optimism. A sixth-place finish at the Chicagolands against D-I and D-II opponents represented a much smoother transition to the outdoor season than was had by the men and will give the squad confidence that they can compete successfully against high-caliber opposition. Having said that, the women scored only 14 of their 60.50 points in sprinting events last Saturday, which suggests they have not been immune to the problems faced by their male counterparts. However, Hall—though he was disappointed with some of the performances last weekend—thinks part of the problem for the sprinters has been moving to the colder climate of outdoor track, and he doesn’t think Chicago’s conference rivals have coped with the problem much better. “I think a lot of the explosive athletes coming off of indoors and moving into outdoors [have struggled] with the cooler weather,” he said, “and I think the exception to the rule is Emory, who is sitting in a hot climate and probably has a great competition climate every time they go out and we just haven’t had that. 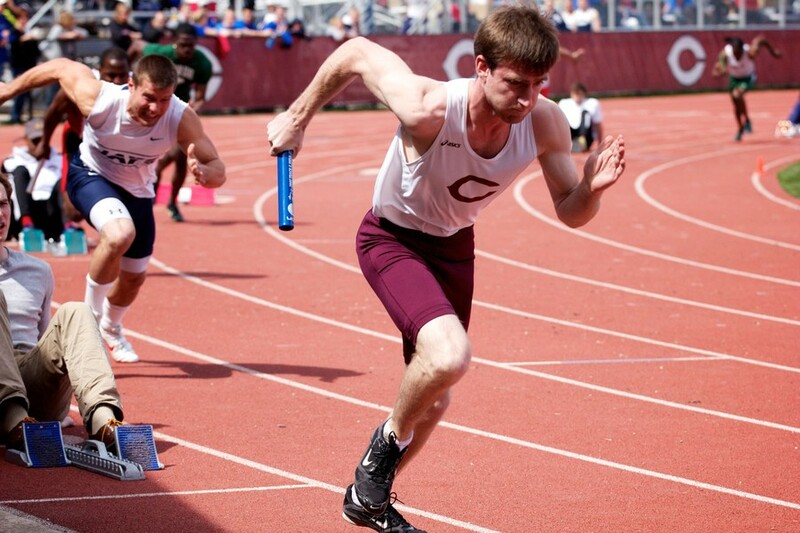 Saturday’s meet will be the smallest Chicago has competed in all season and a little bit of intimacy might be just what the doctor ordered for the Maroons. It’s easy to get caught up in the occasion when there are 18 teams on the track, but that will be no excuse tomorrow. The Wheaton College Twilight gets under way at 1 p.m. tomorrow.